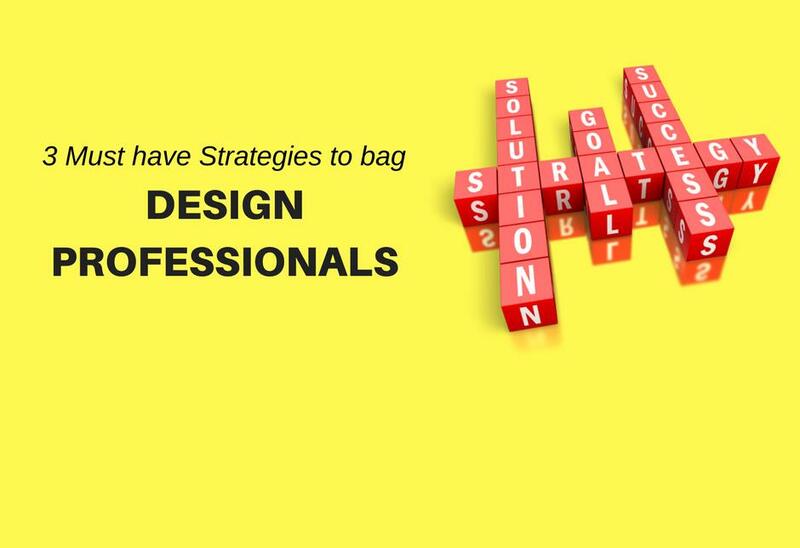 Getting your Marketing strategy right upfront while aiming for architects/designers will put things in place and set the pace for your sales team when they approach the professionals. Aesthetics will help get their attention. While the performance of the product is of utmost importance, the importance of design cannot be overlooked, as this is what gets them hooked on to your products. Also, sustainability is an important feature to be kept in mind while designing, since all individuals are eyeing for long-term durability and growth in the present scenario. Compatibility of Relevant Documents. All required documents with adequate technical information must be shared across multiple platforms, with high-quality images, so that architects/designers can easily download them and fit into their desired or preferred model formats to test or check. Focus on Specialization and Segment Accordingly. Nowadays, most architects and designers and moving toward specialization. Therefore, sales representatives must perform a thorough research to find out and choose their best buyers from the field. This will simplify the sales process to a great extent. The synergy between the Marketing and Sales Team. There should be hearty cooperation and collaboration of the sales and marketing departments. The sales representatives must work based on the strategies framed by the marketing department. In turn, the marketing department must develop and evolve their further strategies based on the data, results and insights obtained from the sales team. A mindful combination of the above-mentioned points will ensure you hit your target audience at the perfect touchpoints and seal the deal at the earliest.